The Fondazione Prada is presenting a thematic exhibition enlightening the artworks’ ‘back’. Recto Verso brings attention to the enigmatic reverse of masterpieces through centuries. From 18th-century Flemish painters to Louis-Lépoold Boilly, Roy Lichtenstein and Thomas Demand. 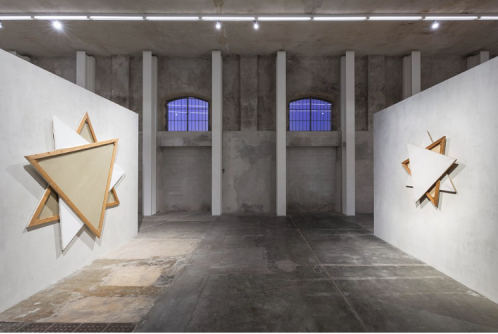 Recto Verso is curated by the Fondazione Prada Thought Council and continues the intention began with the show ‘In Part’ curated by Nicholas Culling in the Nord gallery. 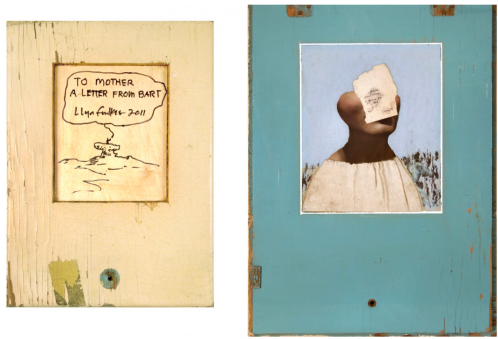 The exhibition’s display edifies the back of pieces as the primary subject matter. Signatures, drawings, doodles, the non-visible content can even become a message of protest as with Gastone Novelli 1968 Venice Biennale pieces. The uncommon way of exposing headlines the frame over the content itself and the forgotten over the shown. As specified by the Fondazione Prada ‘When the back of a painting began to become a subjects for artistic research, the confusion between the two surfaces began to shift towards a fusion proper’. The theme orients the disposition of the artworks, which mostly hang from the ceiling, giving that double exposure to the pieces that shift from a two-dimension arrangement to a three-dimensional sculptural one.